30 Days of Food Inspiration – Day 25 | Eat.Drink.Life.Love. The end of a long two weeks calls for something sweet, savory and celebratory. Enter summer salsa. 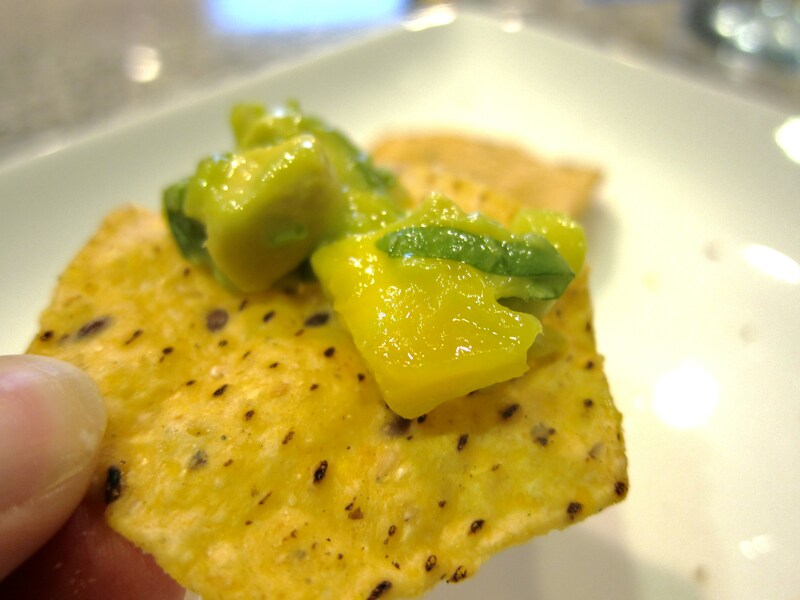 Mango, pineapple, jalapeno, cilantro, avocado, lime juice, salt and rice vinegar. Honeyed and heat married with crunch and salt. Perfect on chips and on simple fish tacos. Thanks for the tropical flavors, summer.